The charge is automatic/without supervision. Once the charge process is finished, Batium maintains the charge level and can remain connected to the battery permanently. Batium is a microprocessor controlled smart charger that constantly analyses the state of the battery and regulates the charge according to the battery's needs. It compensates the mains voltage variations and indicates eventual battery voltage failures. The last charge settings are saved automatically. Protection of the on-board electronics. No need to disconnect the battery fro the vehicle. No current is supplied to the clamps unless they are connected to the battery terminals. Batium ensures a 100% charge of all lead-acid batteries (IwUoU curve). A standard "automatic" charger, W2 or WU curve, charges up to 90% only. 50% shorter time compared to a traditional charger. Batium ensures an ultra-quick and safe charge, by providing a constant average current during ‘boost’ phase. Deeply discharged batteries that are still in a good state of health (eg: lights on when the vehicle is stopped) could have a voltage as low as 1V. Batium can charge from 1 volt, whereas most chargers can not. 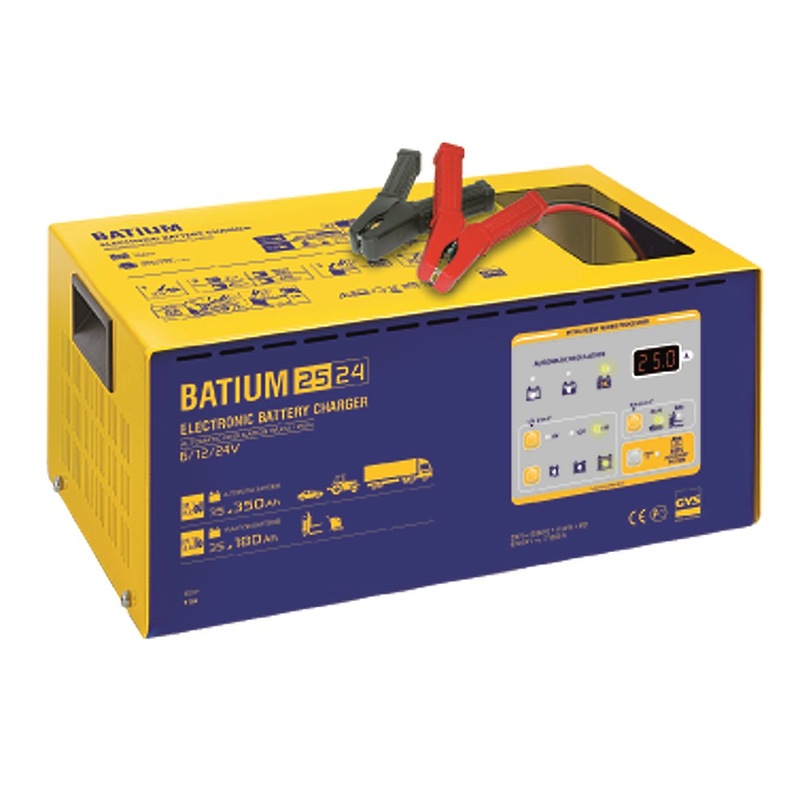 Batium features a function for batteries that have started a sulphatation process, and cannot be recharged with a normal charge. The Batium's SOS RECOVERY delivers a specific cycle of regeneration charge.